1. 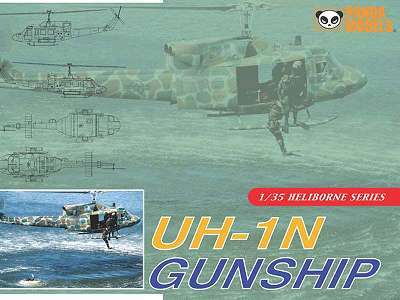 Panda have released their 1:35 UH-1N in two versions. These appear to be scaled up copies of the 1:48 Italeri kit. 35008 'UH-1N Twin Huey', US Navy 'USS Tarawa', which should be Engine Grey (although Italeri thought it was green). 35009 'UH-1N Gunship', USAF 'Green Hornets' low-visibility 'lizard' scheme. 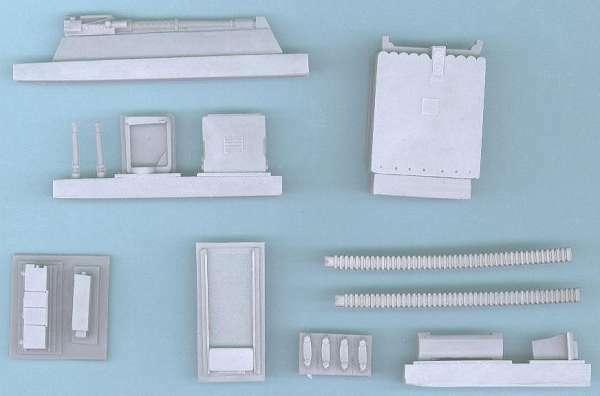 "The kit is made of VERY hard resin, and has extremely fine surface detailing. There are a few pin-holes in the resin, but nothing insurmountable. 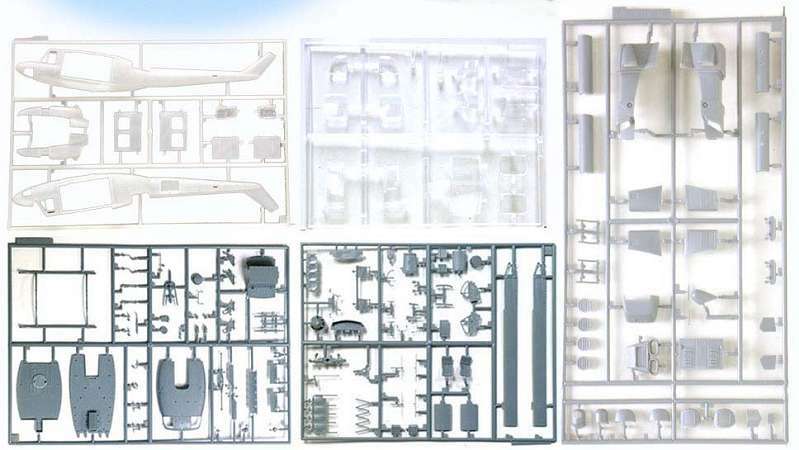 Overall, I am pleasantly surprised by the quality of the kit; as when I heard it was a re-release of the Czech Master kit, I feared that the moulds would be in deteriorated shape. My copy has a pronounced mould-mating seam along the fuselage belly which looks like it will be a pain to clean up, but thankfully the 'spine' seam is much smaller. The surface detailing is very fine, so fine in fact that I fear much of it will disappear under a coat or two of paint; I will have to experiment with scribing on a discrete surface, as I suspect that the hardness of the resin may lead to chipping. The cockpit looks well appointed, and the vac-formed canopy looks very good too. The decals look good, although the markings are of course 100% fiction. All in all, I recommend this one." 3. There is a rumour that Miku have (or are about to) re-issued their resin 1:72 AH-56A Cheyenne (HKN #92) with unspecified 'modifications'. 4. 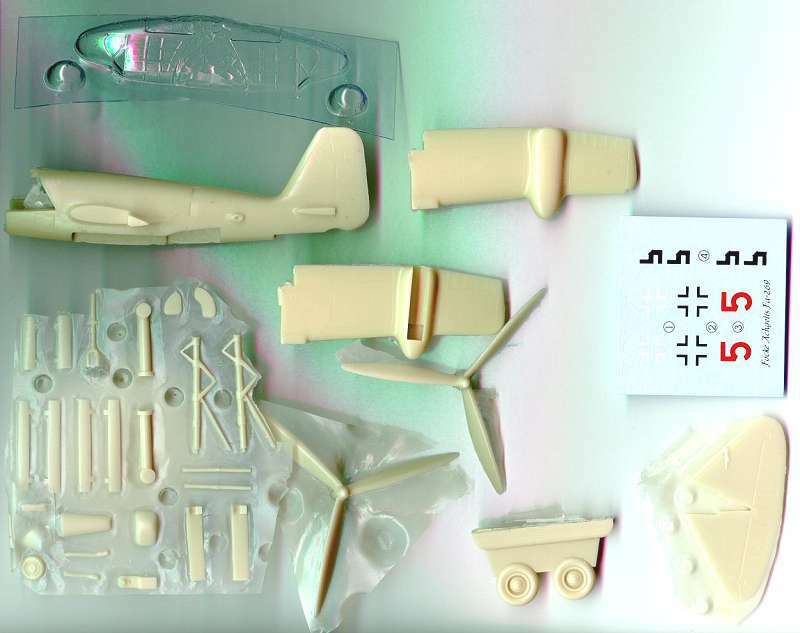 The Model Alliance / Aviation Workshop 'Premier Range' Sea King decal sheets MA-48103 and MA-72103 are now available, (see HKN #158 for details). Note that the revised Model Alliance website is now up and running. 7. The latest publication from Wings and Wheels covers the Bo-105 in military service with the German, Netherlands & Swedish Armies. 8. 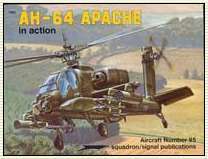 Squadron/Signal have re-printed 'AH-64 Apache in Action' #1095, first published in 1989. Thanks to Tony Morgan (Fa.269 review), Gary Madgwick (Aviation Workshop), Chris Miller (Cobra Company), Jaroslav Spacek (Wings & Wheels), and Roger Marriott (Miku rumour from Luchtvaart). If you buy something direct from the maker as a result of reading about it in Heli-Kit News, please remember to tell them that you saw it here. This will encourage the flow of more news in the future, and maybe we'll even get the occasional review sample!